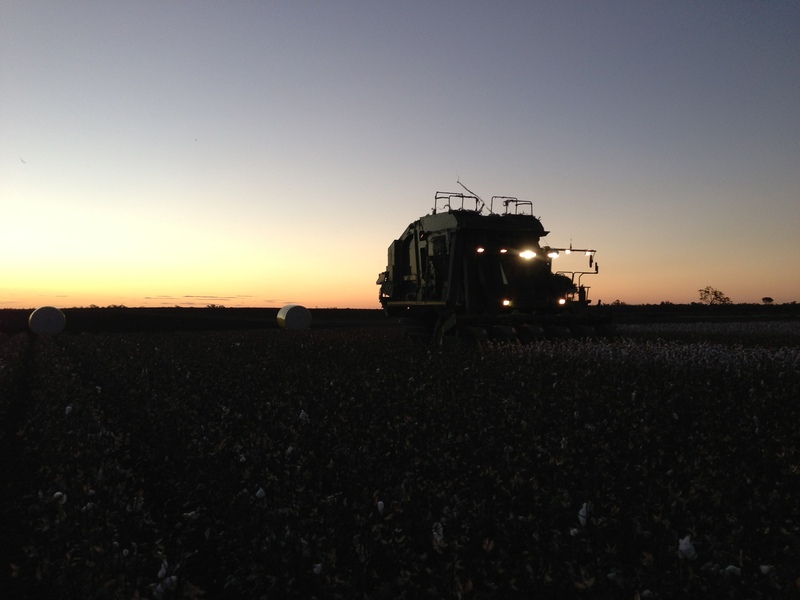 Ever wanted to operate heavy machinery worth nearly $1,000,000 or work with the latest technology used in precision agriculture then operating a cotton picker is the job for you. While it is seasonal work it pays well and their is a lot of money to be made in the season’s relatively short period. As the operator you will be in charge of running the machine and keeping it going in the field including the routine daily maintenance such as cleaning it out to prevent fire. The hours for a operator can be long but they are spent in plenty of comfort with the new John Deere 7760 Round Baler’s cab being designed for ease of use and to have optimal comfort for the operator. Training is generally provided on the job however some operators do prefer experienced operators, to learn to operate the machine you will ride along in the jump seat with an experienced operator for a couple of days before operating it yourself under supervision for a day or two. Sometimes a operator will have to work there way up to driving picker by operating the loader or tractor that is used to collect and position the round bales before they can go onto operating the picker. A operator on a cotton picker can earn over $25 a hour.